Do you love All-American decorating and timeless style like I do? of my High Low Project inspired by this “Beautiful” book. Love the style of Mark D. Sikes so much that I want to share it with you. I decided to purchase another copy of his book and share one with one of my readers. and was smitten. I ordered the book right away and anxiously awaiting for his new book. I am using this book for lots of inspiration for my new “right-sized” home. Combining classic All-American style with French country. can apply to your home. 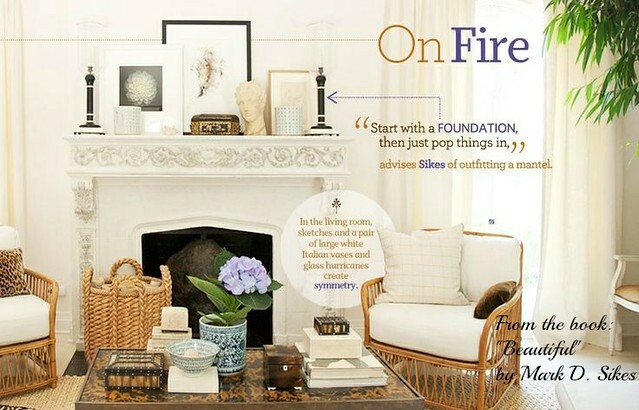 For example, I love the layering of this mantel! A most beautiful way to combine the classic traditional style with a modern twist. Oh and the blue and white! I can see another “high low project” coming. So admiring this tower bookcase. I can see this incorporated in my “right-sized” home. In this book, rooms are wonderfully chaptered by color scheme. and more, are what you will see in this book. This could be yours! Just leave me a comment stating that you would love to win this book! This giveaway will end on June 6th, 2017 and winner will be announced on June 8th, 2017. Good luck and have a most beautiful day!!! happily and gloriously my own! Traditional with a twist is exactly my style! I would love to win this book. The pictures are really enticing. Thank you for this offer. Love reading your posts and all the inspiration they offer. Would love to win this book. i see a lot of these ideas being incorporated into the new house. i feel those wheels spinning right now! 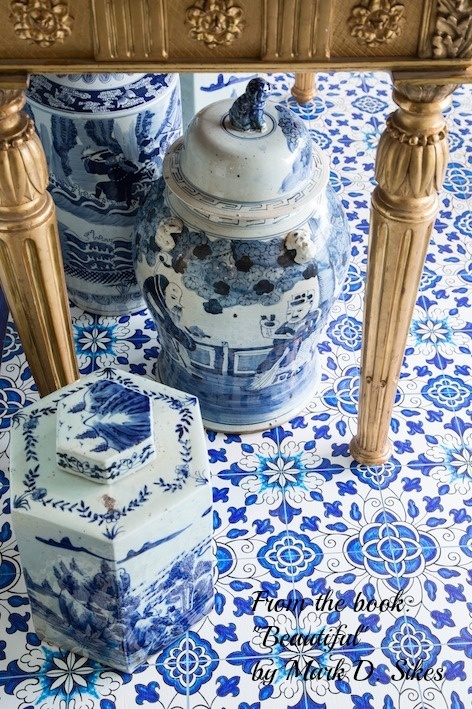 They say nobody does blue and white in their decorating like Mark Sikes. I just love books – especially decorating books! I would love to win it! Yes please! I would love to win this book. Thank you for the chance! We are downsizing soon and I think this book would be of great value as I cull our belongings. Thank you for offering and I do hope I win this!!! Would love to be considered to win this book. i would,share this book with my 80 year old Mama who still has the decorating flare Nd is always open to new ideas. Shirley, I follow Mark D. Sikes on IG and I love his design style…always tasteful, but with a little edge. And since I haven’t purchased this book, I would love to win a copy…Happy Tuesday! This book sounds intriguing! I love the mantel advise and want to study the high low effect. I need help in the styling department. I love the phrase ,with a new twist! Thanks for keeping us abreast of new books. Would love to win a copy of this book and spend time viewing its design elements. Trying to get my “right size” house looking beautiful. Please draw my name! PS Love your web site it is so fresh and beautiful. I haven’t seen this book yet! Yes, I would love to win this book. Beautiful! I would love to win this book ! I hope you get to incorporate the french doors in your new home. Just downsized to a new home, could use some inspiration. Would love to win this book. I would LOOOOVE to win this book! It looks fabulous! I can see you doing a new “high/low vignette”!!!!!! Pinky’s recent post…Something New for the Patio! The book looks amazing, would love to own it. a copy! Would love to have it—thank you for such an awesome opportunity! This book looks like it has so many great ideas. I would love to add it to my collection. We are hoping to sell the house we own now and downsize into something more manageable. This book would help me go in a different direction with a new home. Would love to have this book to get fresh new ideas. Thanks so much for offering it to us! I am always looking for inspiration, new design and decorating ideas. Your blog and pictures keep me inspired but this book would be a wonderful keepsake. Thanks for the opportunity to win it! Right now I am in the process of totally changing my family room area and am struggling with fabric color choices, etc. This book looks inspirational and just what kind of help I need! Thanks for making the offer possible! This would be a beautiful book to add to my collection! It definitely sounds like an interesting book. I’m curious, so, I would love to win it. Would love to win this beautiful book..
Hi Shirley. What a beautiful book! My favorite thing to do,is spend time decorating in my home! I would love to win this book! Good luck with your new home. I’m sure it will be beautiful! Thank you for the chance to have this book. I can hardly wait to see the plans for your new home! I have no doubt it will be timeless and classic. I also love and am intrigued by the talent of Mark D. Skies. What a perfect name for his new book! The cover alone is gorgeous. I would enjoy it among my collection. Thank you, Shirley, for your kindness, and the tempting peek! I love your term “right-size house”. Sounds like a lot more fun than downsizing. My husband and I got that backwards. The last time he was transferred before retirement, we had to get a house that didn’t hold all our furniture because of the house prices in that area. Then where we moved for retirement houses were better priced. So I wanted one that would have plenty of room for visiting children and grandchildren. That’s what we did. And wouldn’t you know we were blessed to have all our family not only move to the same city but right in our neighborhood. Our house may be too big for us but I’m not complaining or moving. ? This book looks like my kind of book. I collect decorating books and would love to add this one to my collection! So now I know! My style is “traditional with some French country”. I’d love to read more about it! What a wonderful book! I would love to add it to my collection. Thank you for the opportunity. Love, love, love the tower bookcase. I have too many books but one more wouldn’t hurt. Thanks for the chance to win this beautiful book. I would love to add this book to my library of interior design books. How lovely to have the chapters organized by color. I look forward to learning more about this book. I have seen this book and love it! I would be so happy to win this giveaway! Yes, I would love to win the beautiful “Beautiful” book. I love browsing through books and magazines about home decorating and crafting. One gets so inspired! The book sounds wonderful. I am trying to make some changes to my house and this would be so helpful. Interesting ideas. Hope I win the book for further inspiration! Hi Shirley, I would love to own this book. We also need to downsize and purge so many possessions. Maybe it will inspire us to get moving! Indeed BEAUTIFUL!! I would love to own this book. There aren’t many books these days that feature timeless style, mixing some traditional elements with other transitional pieces. 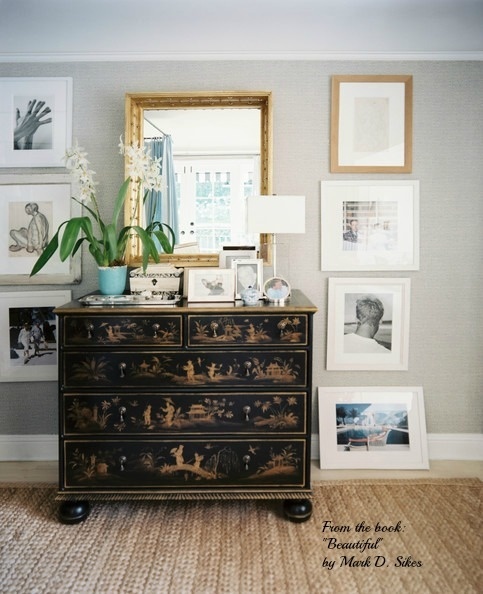 Love, love the pages with chinoiserie!! I swoon over anything with blue. Love everything Mark Sikes does and can’t wait to see your new house. This is an incredible book. Would love to add it to my growing collection. I love looking at your gorgeous designs! Would love to win this wonderful book! 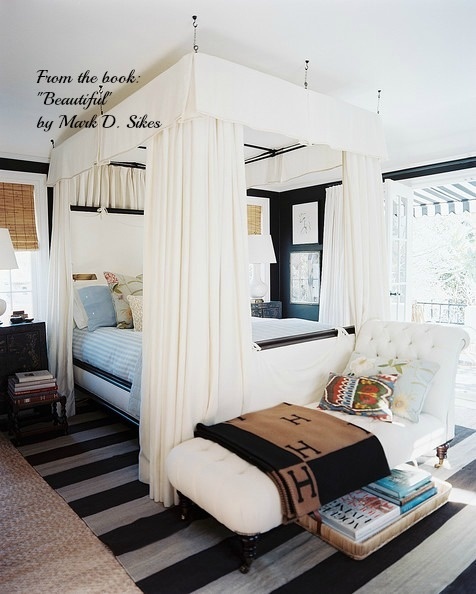 I love the incredible style of Mark D. Sikes and would love to win this book. Thank you for the chance, Shirley! I love a good design book…this one would be a great addition to my collection. Thia is just my style. It is a lovely book. I would love to win such a lovely book. Thank your for the opportunity! I would love to win this book. Love his style. I would love to win this book! Can’t wait to see your “right size” home….it will be Beautiful! As I have said before you have great decor taste!!! This looks great! I would love to add this to my collection of decorating books! OMG! This is absolutely stunning. I have lots of crystal balls I was going to sell in a garage sale, but I have just changed my mind… I love the combination of the crystal balls with the vases and the plants all strengthened out along the table. I would love to win this book. I have an old house built in 1876 sitting on the bank of the Ohio River and it needs all American style. Thanks for this offer. This looks like a lovely book, with great decor ideas. Thank you for giving us all a chance to win it! Great book! I would love it for sure! Lovely book Shirley and I would love to win it! The book looks inspirational, and I would love get a closer look:) Thanks for giving a copy away. Thank you for giving a copy away! I’d love this Beautiful book! This book looks like a dream. Thank you so much for sharing it with us. Even if I don’t win, still good to know what I can put on my book “wish list”. I have been searching for a good design book, so the timing of this post is perfect. After a year of recovering from surgery after a work-related injured at my job as an ER nurse, I’ve had just over a year to learn how much I love interior design. My analytical mind doesn’t have the creative vision that designers are blessed with, so I need lots of inspiration. I can get lost for hours reading blogs about design styles and enjoy seeing how others interpret their own spaces. It allows me to escape my day to day reality and feel inspired in new ways. Perhaps in the future you could suggest additional books, or designers that we (the readers) could utilize in planning and making the most of our own homes for our families. Thank you for recommending this book and the opportunity to win a copy. Good luck to everyone else who would also appreciate winning a copy of this book! Shirley: Your blog is inspiration for me and I know the book is wonderful. Yes, I would love to win a copy. I feel there is so much to learn about decorating our homes and we gain such great ideas from the talented people of our world. This looks like such a lovely book to add to my decorating library. My taste is mostly traditional with some French country mixed in. Winning this book would be a great addition to my small but well loved library of home improvement, design. I’d really like to win this book. Love your style and I look at your blog daily. So excited to see your future journey of your new “right size” home. Would love to look through this book! He’s a genius worth studying, the way he pairs and balances a mantle, table, or vignette. I can’t wait to see if you’re able to incorporate the tower bookcase in your new place. Thanks for featuring this book and would love to own it! Shirley, what a stunning book! It has EVERYTHING we love, doesn’t it? Mark is a genius at balancing traditional, classic pieces with more contemporary decor and giving it a timeless look. I haven’t had the opportunity to see this gorgeous book yet, but would love to take the time to peruse each and every page. You are so generous! Thank you for hosting this beautiful give away. Lidy@Frenchgardenhouse Antiques’s recent post…CELEBRATING OUR MAY READER APPRECIATION WINNER! I would live to win the book to drool over, how fun to have sisters, I sure wish I did. Thank you for the beautiful summer pictures in your porch. Can’t imagine the fun I would have pouring over the photos in this dream book…but if you pick me, I will love every moment! ? I saw this in B&N last week and wild LOVE to have it! Thank you for your beautiful blogs…love the window treatments in your sunroom :-). with us! I would love a copy of the book! I would love to win this lovely book! Summer is in full swing in south Florida and it would make fun reading while enjoying a glass of lavender lemonade! Hi Shirley, Yours is the one e-mail I look so forward to, I love your style and want to thank you for all the ideas you share, you have a beautiful way of putting things together! 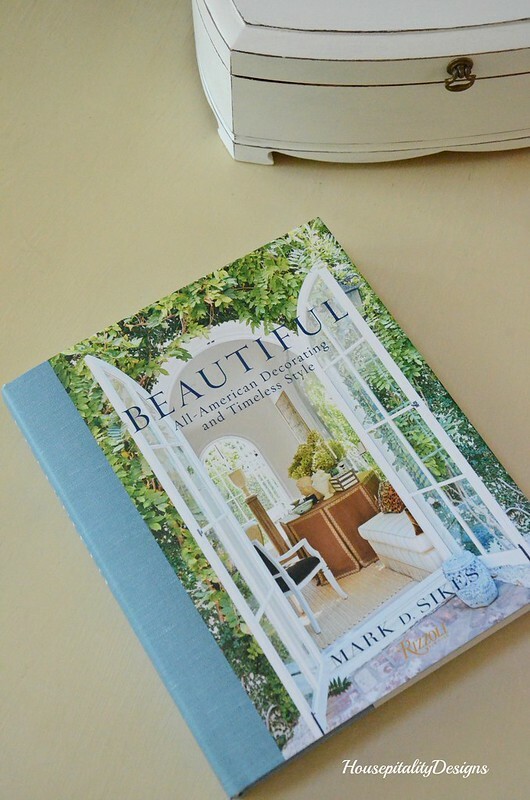 We just moved and I’m trying to figure things out, so I’d just love to win a copy of the book “Beautiful!” I have an old Hickory chair sofa that reminds me of the on in the book. It could sure use a fresh new look! Thank you for your amazing and helpful website! I would love to win the BEAUTIFUL book! Love your blog, too! Oh, how I would love ❤️ to win this book! Summer in Tallahassee is hot, so I would enjoy sitting down with this ” beautiful ” book! 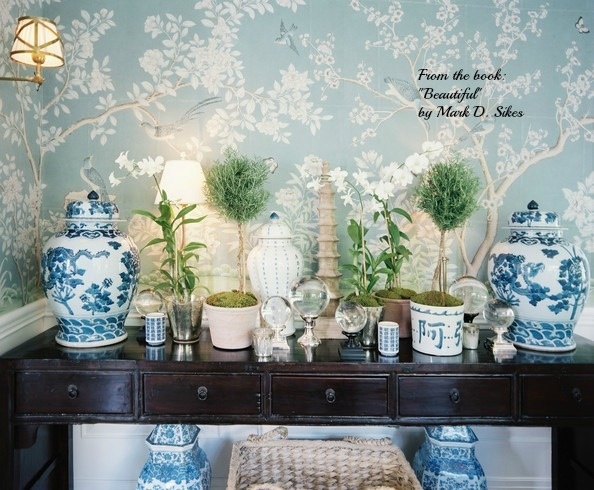 Love Chinoiserie and would love to have M.Sikes book! Oh I would love to win this book. And I love, love your sunroom and it’s many seasonal changes. I love decorating books and magazines. Just ask my mail lady! I would love a chance to win. Thanks for the give-away. Yours is my favorite blog! I love your style and always look forward to your blog post! I am a decorating book and magazine fanitic and would simply be over the moon to receive this beautiful book. Thank you for sharing your passion! Count me in too. 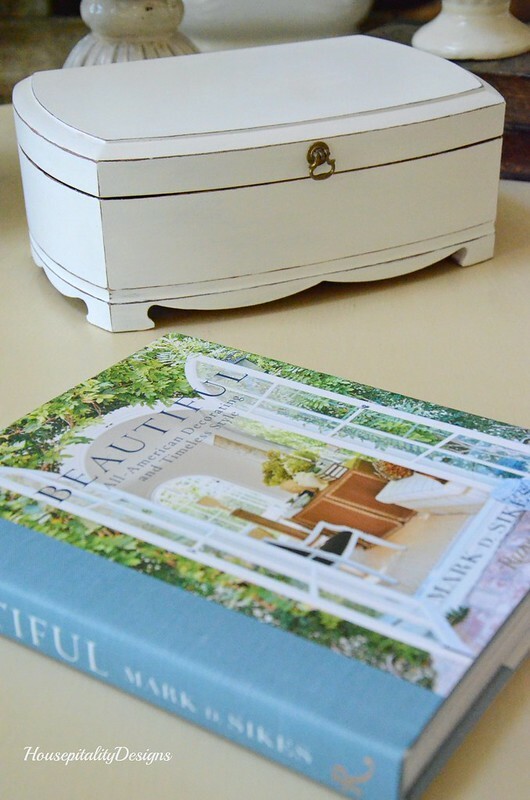 Love decorating in timeless & traditional style and would enjoy this book very much! Thanks for all of your ideas and sharing! I love this type of book. Would love to win ! Always love your posts and would love to win this beautiful book to put on my coffee table to inspire others! What a gorgeous book to swoon through. Thanks for a chance Shirley. Happy New week. PICK ME…pick me.. I have just started my decorating book collection. I would LOVE to add this one to my coffee table especially as a gift from one of my favorite bloggers! This beautiful book would be a great addition to my collection! I love his style! Love your site and all your amazing ideas! WOW! Great book! Would look absolutely wonderful on my basket truck! Of course, after I drag it around with me forever! Like in the car, at my office, during break, outside after work, etc.!!!!!!! Would love to add this book to my collection. Thanks, Shirley. Would love to own a copy of that lovely book as I too enjoy layering my treasures ….maybe sometimes too many layers so would love to see a professional way of doing it!!!!!! Hope I win!!!! Traditional + country French+HEAVEN. I’d love to add this book to my library! This books looks wonderful and timeless. It’s one of those that will be still current in 20 years. This looks to be a perfect decorating book! Thank you for bringing it to my attention! Would certainly enjoy this book and the 8th is my birthday…what a nice surprise it would be to win! Better late than never- hope I’m still in time to win the book! Thank you for the chance-it will be at the top of my summer reading list!